It may be hard to believe, but each and every state in the U.S. produces wine – even Hawaii. I’ve always wanted to try the wine of Hawaii, but figured I would probably never make it to a Hawaiian winery in person (but I can still dream). 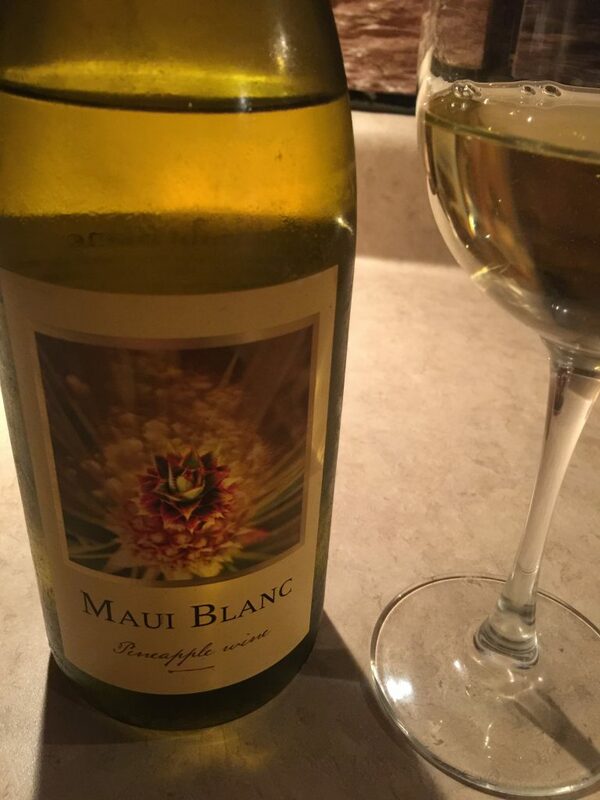 While shopping at a specialty store I came across this Maui Blanc Pineapple Wine produced at the Maui Wine winery, which is made from 100% fresh pineapples. I was skeptical at first because I don’t care much for sweeter wines myself, but the bottle proclaimed that it was done in an off-dry style so I thought I would give it a try.